Every semester, hundreds of Cornell students are involved in providing distance learning programs and personal correspondence to over 4000 prisoners across the United States – giving them a way to step through the isolation and alienation of prison life and develop skills needed for life on the outside. Prisoner Express is a project of the Center for Transformative Action and has been providing these services since 2004. 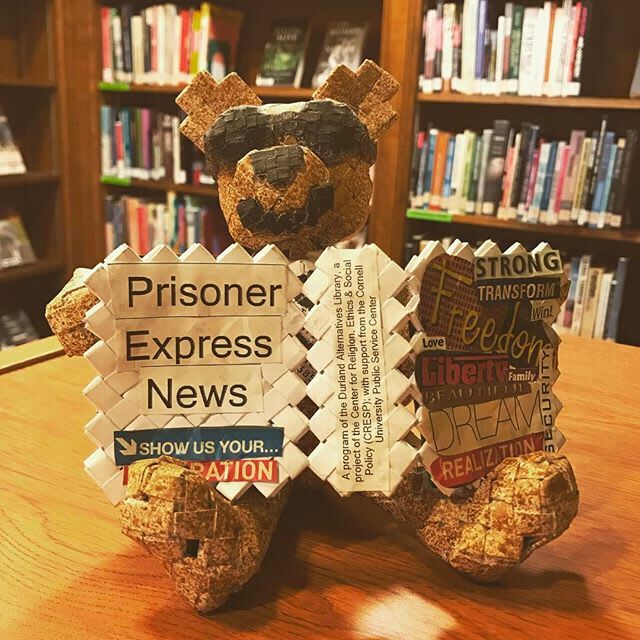 The newsletters feature upcoming programs that prisoners can participate in like arts and crafts, poetry, and journal writing. It also showcases prisoner work and invites new members to join. You can read the most recent newsletter here. Our newsletters reach thousands of people incarcerated in U.S. prisons and connect them with the many programs and volunteers who support them. The goal is to bring hope and foster a sense of community among the prisoners who participate. And it's not just prisoners who benefit. Cornell student volunteers have repeatedly said how being involved with PE has connected them to a world much larger than the university. By participating in this project, students become sensitive to the issues of mass incarceration. In fact, many Cornell student volunteers become lifelong agents for reforming the system to effectively rehabilitate incarcerated individuals. Our crowdfunding goal is to raise $10,000 to cover costs for mailing personal letters and educational programming, shipping books, publishing a volume of the PE poetry anthology, and printing and mailing the bi-annual newsletter. Any amount will help build the momentum for this campaign and make the world a better place. Your support today will give leverage to the student volunteers, helping to fund programs that can touch the lives of thousands of people incarcerated in the United States. Bear made entirely out of folded squares of paper. Artist unknown. Gifts of support of any amount are welcome and appreciated. If you would like to discuss additional ways to make a substantial gift to Prisoner Express in support of our programming, please contact Gary Fine, Program Director at gmf5@cornell.edu or 607-255-6486. Cornell was founded on the vision of "any person, any study," and for nearly fifteen years, the Prisoner Express program has worked towards this ideal by giving prisoners a chance to connect, heal, and share their expression with the outside world. With your support students and volunteers can continue creating programs to serve prisoners throughout the U.S. with these opportunities. Volunteers personally respond to the letters and journals that prisoners mail in. Many prisoners have shared that receiving these handwritten correspondences has helped them cope with the loneliness and isolation of incarceration. A donation in this amount could buy a book of 20 stamps so participants can hear their name at mail call. What are prisoners requesting to read? Alex, one of our student volunteers, hand-picks books for participants based on their interests. Philosophy, fiction, and dictionaries are popular requests. Other volunteers package and post them. A donation of this amount is like paying the postage to send two large packages of donated books to prisoners. In addition to requesting books, prisoners can enroll in a variety of courses about history, science, crafts, creative writing, psychology, and meditation, just to name a few. Support at this level could fund programming costs like the postage to mail 250 distance learning packets via USPS bulk mail. Many of these educational packets contain lesson plans created by Cornell students. A donation in this amount could cover the cost of printing 100 twenty-eight page volunteer-developed distance learning lessons. 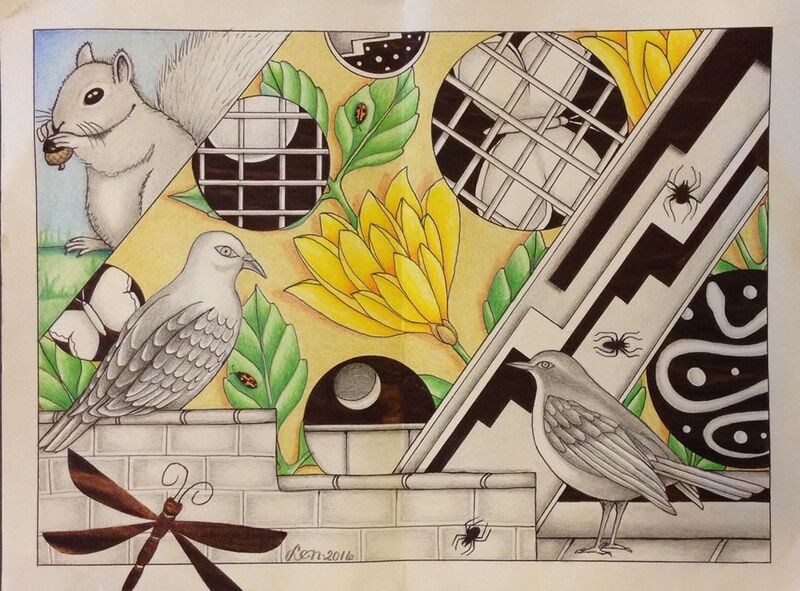 The PE Poetry Program is equally popular among prisoners and Cornell student volunteers. Help fund programming costs like the printing and mailing of an edition of the PE Poetry Anthology to 500 prisoner-poets when you choose to give at this level. Your donation could help with expenses associated with publishing and distributing an edition of the PE newsletter to over 4000 active members. Often newsletters will find their way into the hands of folks who aren't members but want to join PE. This is how the program has grown so quickly. And it continues to do so! Prisoners can participate in a community read. This season's pick is Slaughterhouse-Five. Your gift may help provide postage to mail out a copy of Vonnegut's classic novel to participants in the PE Book Club. Gifts of any amount are welcome and appreciated. If you would like to discuss additional ways to make a substantial gift to Prisoner Express in support of our programming, please contact Gary Fine, Program Director at gmf5@cornell.edu or 607-255-6486.